Last April, I received a package from GARNIER giving BREW OF THE DAY a chance to try out their latest product - GARNIER PUREACTIVE. I have done product reviews before but this was my first time to try out a sponsored one. They also included this additional TRAPPER KEEPER as a souvenir. Hehe.. this reminds me of my high school days. The Garnier PureActive products came at a very timely moment because I have been battling with my acne/pimple problems lately. Due to my very oily skin type and also hormonal problems, I feel like my face has become a battle zone! I try my best to stick to my skin regimen which is cleanse, toner, and moisturize. BUT, its really not enough. I admit I've pricked and popped zits by myself causing black spots and scars. This is what I call, THE BATTLE ZONE. Sighs. I know, IT'S NOT PRETTY. I've tried to cover it with makeup or foundation but sometimes its just not enough to hide the pimples or the blemishes. But I've come to terms with it. I thought that there was nothing else I can do. Though I hate the effect it has on my face, I haven't let it bog me down. Being emo hasn't helped. Instead, I've been on alert in finding a product that will dry up my pimples, address my acne issues, and lighten my blemishes. That's why when I heard about Garnier PureActive and what it offers, I became really interested in it and seriously wanted to try it out. I will never know if I don't try it diba? 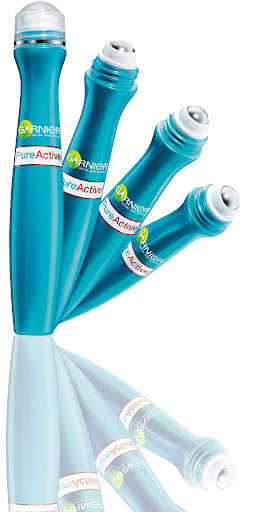 + PureActive, Garnier’s latest line of skin care, actively fights the six skin problems from the first day of use. 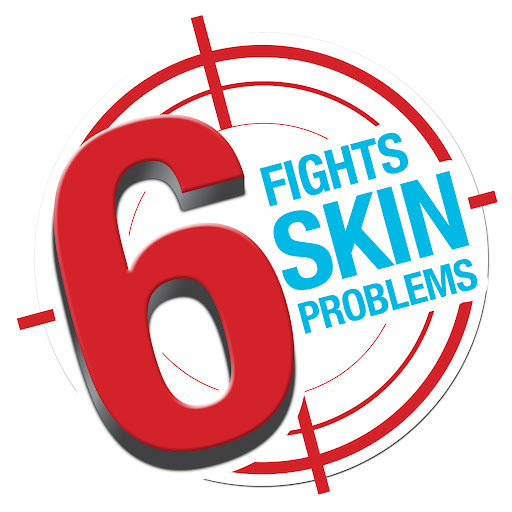 + The six skin problems are pimples, whiteheads, oiliness, enlarged pores, impurities, and unevenness. + There are two products available for the Philippine market: the Multi-Action Scrub (100ML and 50ML) and Pimple Roll-On. The prices of the Pure Active Scrub are Php 150.00 for the 100ML tube and Php 85.00 for the 50ML tube, while the Pure Active Pimple Roll-On 15ML costs Php 199.00. + Its active ingredients include Purifying Salicylic Acid with Maximum Concentration at 2% and Natural HerbaRepairTM. Salicylic Acid is a powerful anti-bacterial ingredient with oil control properties and pore clearing properties, while Natural HerbaRepairTM is from blueberry extracts, and helps repair and regenerate the skin to prevent scarring. I'm guilty of most of what's stated there. 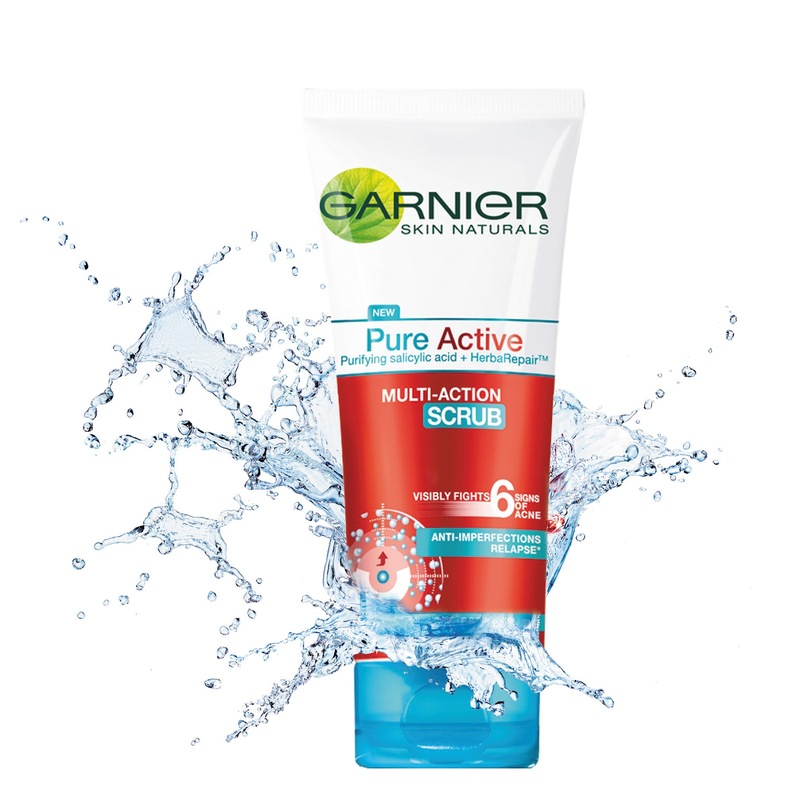 Garnier PureActive’s breakthrough formula consists of a combination of two powerful acne-fighting ingredients – Purifying Salicylic Acid with proven anti-bacterial properties, and Natural HerbaRepairTM from blueberry extracts, which helps repair and regenerate the skin to prevent scarring. Clinically tested on acne prone skin, the line works immediately on imperfections and delivers multi-action benefits from day one. Concentrated with 2% salicylic acid, the new Garnier Pure Active Pimple Roll-On immediately dries pimple and reduce acne spots. The revolutionary metal roller-ball immediately helps relieve pimples without having to touch the pimple itself, while its compact size is convenient to carry around your bag. + Packaging. Its small, lightweight, and for me the metal roller-ball is a winner! The fact that you don't have to touch your pimple itself is good coz its more hygienic. + Effectiveness. It DRIES UP the pimples. I immediately can feel the slight stinging effect it has on my pimples. It isn't that strong to make you feel alarmed or worried. But you can definitely feel it "working" immediately upon application. What I usually do is put some before I sleep so when I wake up, I immediately see the pimple has dried up. YAY! + Affordability. It costs almost 200 pesos. It might be a bit pricey for an average worker but its definitely gonna be a worthwhile investment if it would mean dried up zits FAST! ~ Dislikes. The packaging is actually an advantage and disadvantage. When I was using it or showing it to my other friends, some of them found the unusual packaging weird and did not like putting a "roll-on" on the face. Also, I noticed after some period of use, you really have to make sure to clean the metal roller ball for some left-over residue. I have had upon occasion notice some dried up fluid on the side of the metallic ball. So clean up is definitely a must for it to last longer. + The SCRUB. The microbeads are barely visible (if you look closely at the pic its the blue dots) and upon applying it on your face -- it is not abrasive but you could feel the gentle scrubbing effect it has on the face. Since it is a scub, I use Garnier Pure Active Facial Scrub two to three times a week. Definitely NOT on a daily basis. Most scrubs advise that it is to be used once or twice a week. Though it wasn't stated in the packaging, the safest thing you should do is use it once or twice a week. + Effectivity. I can definitely say it made a distinct difference on my skin. The blemishes have definitely lightened compared before. Acne or pimples have lessened. I still get pimples but medyo mas nacocontrol ngayon. + Affordability. YES! Its affordable! I'm using the 100 ml for a month na and there's still half of it left. So I think you can definitely get your money's worth coz it will last you up to 2-3 months. My BEFORE and AFTER pics of using GARNIER. Yes.. it looks like a BATTLE ZONE. But thank you GARNIER PUREACTIVE for fighting for me! Yes, I am a bit embarrassed by this photo. haha. BUT if this will help others in dealing with their acne problems.. well. sana nga. haha. So if you look carefully at the April 2 photo, there were really a lot of dark spots, blemishes, scars, and acne. Yes, my chin area is my battle zone area. I like to call it a battle instead of a problem coz I plan to win and conquer the acne in this area! haha. Anyway, with 17 days of use of these Garnier PureActive products, it lightened already. But out popped some nasty zits (due to puyat yan.. hehe) so I use the Garnier PureActive Pimple Roll on and it worked wonders. Look at my face at the April 22 photos. Yes dark spots are still there. A bit lighter and much improved. ALSO, guess what.. no more nasty huge and many angry zits. Just one or two. I'm already happy with that. Dried up my pimples. CHECK! Addressed my acne problems. CHECK! Lightened my blemishes or dark spots. CHECK CHECK! Garnier PureActive is available in all major supermarkets, department stores and drug stores across the Philippines. Check out GARNIER PHILIPPINES on FACEBOOK. To get answers real-time about skin care or find out the latest promos, follow @GarnierPH on Twitter. You may also contact them through email at mmasa@ph.loreal.com. P.S. DON'T Forget to join my SATCHEL BAG GIVEAWAY! It ends on May 13, Sunday! 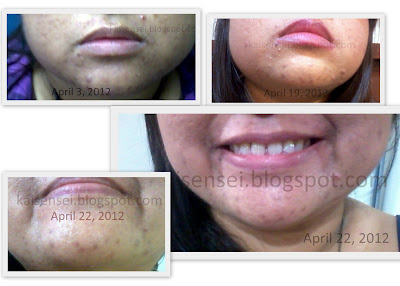 I also use Proactiv from http://www.kallony.com.ph/, it's a good product indeed!